For over 20 years, Pivotech has produced a range of shower enclosures that have set the standard for craftsmanship and value for money. Using the highest quality materials, our systems continue to be an investment in quality and style. Looking for shower screens? Cherrybrook, Hornsby, Pennant Hills, Epping, Kenthurst, Waitara and surrounding Sydney locals can call on Bradney Glass today! 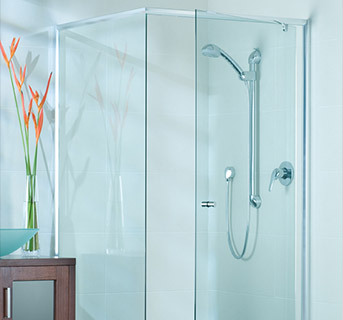 We offer shower screens that add beauty and elegance to any home. Glass will open up any bathroom to make it feel bright and open – and better yet, it’s incredibly simple and easy to clean. Having been in the business for over 60 years, the team at Bradney Glass are incredibly efficient and professional when it comes to replacing and installing shower screens in homes around Pymble, Thornleigh, Turramurra and beyond. Our first step will be to consult you and to make sure we’re both on the same page when it comes to your shower screen vision. With our many years’ experience, our team will offer you expert advice so you can get the perfect shower screen in your bathroom. 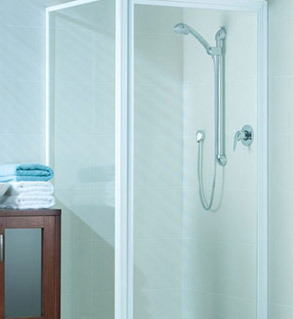 We have many shower screen styles to offer, including screens that are frameless and semi-frameless. 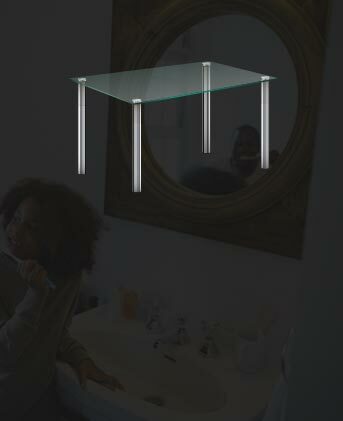 They minimally attach to bathroom floors and walls giving off a very sleek and minimalistic look. Talk to our experts to see what style will work best for your home! We offer free measurements and quotes when it comes to installing shower screens in Asquith, Baulkham Hills, Carlingford, Castle Hills, Eastwood, Wahroonga, West Pennant Hills and surrounding Sydney suburbs. Apart from looking beautiful, shower screens are incredibly easy to clean! Just use a soft cloth and a mild window cleaner and it'll look just as new as the day we installed it. If you're looking to transform your bathroom with some brand new shower screens, Pymble, Thornleigh, West Pennant Hills, Hornsby Heights and Sydney-wide homeowners can call Bradney Glass today for a free measurement and quote. Is it time for new shower screens in Cheltenham, Baulkham Hills, Epping and surrounding suburbs? Whether your shower screen has been broken or you need a custom screen for your brand new shower, contact our team today. With products like our Evolution Shower Screens and Phoenix Shower Enclosures, you’re sure to receive the finest shower screens Cheltenham has to offer! Working all throughout Sydney’s suburbs, we can assist you whether you need shower screens in Cheltenham, shower enclosures in Epping, or glass solutions across Pennant Hills, Epping, and Kenthurst. If you want to know what makes Bradney Glass different when it comes to shower screens, Epping and Sydney residents should check out our testimonials. Alternatively, you can just have a look at our tagline. As the oldest glass merchant in Sydney, you can be sure of experience, expertise, and track record of shower screen success from our team. For more information about our shower screen services or to get a quote, call us on 02 9875 1100. Evolution showerscreens are designed with the versatility to adapt to numerous applications and configurations, combined with the ease of installation and quality of components that our customers rely on.